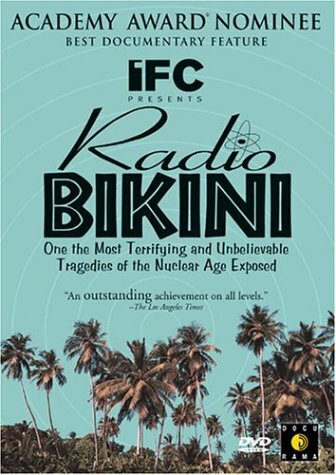 Nominated for an Academy Award(r) as well as the Grand Jury Prize at Sundance, Radio Bikini is a sensational, eye-opening film that gets to the bottom of one of the most terrifying tragedies of the nuclear age. Hailed by The Los Angeles Times as "an outstanding achievement on all levels," this classic documentary serves as a chilling reminder of what happens when man's quest for power surpasses his ability to control its devastating effects. In the tradition of THE ATOMIC CAFE, RADIO BIKINI transports us back to The Cold War, a terrifying time when the threat of nuclear war was part of daily life. Told in a hauntingly perceptive tone, this critically-acclaimed film is one of the most powerful and insightful films ever made on the overwhelming destructiveness of nuclear power. By using extraordinary and rarely seen archival footage, much of which was once kept classified by the U.S. government, director Robert Stone brings to light the largely untold story of Bikini Atoll. A peaceful and tropical island located in the Pacific, it was the unwitting sight of a series of high-profile atomic bomb tests conducted by the US in 1946. With startling eyewitness accounts by a naval serviceman and the chief of the native Bikinians, the film reveals the stark reality of these tests-thought to be harmless, they instead left Bikini Island uninhabitable for over 40 years and exposed thousands of sailors to heavy doses of radiation. The film's virtually surreal footage of sailors fishing in contaminated waters, mushroom clouds filling the skies, and top level government officials professing the safety of the tests leaves us in utter shock and disbelief-how could something so horrific gone untold for so long?